to R&B superstardom. Leslie effortlessly delved into his love of music, passion and a particular woman, to whom he has dedicated the entire album. - R-Les has journeyed through the music game as a singer, and wanted to transition forward into professionally emceeing. “I’ve always been on songs with rappers, whether it’s been with Jadakiss, Jim Jones, Fabolous or Corey Gunz, but I’ve been there as a singer. It would be nice if people could also respect me as a rapper and my credibility would not be compromised.” Leslie told the story of how he contributed a verse to the track before the un-mixed audio was removed and Pusha’s verse was added.
" is an instrumental phenomenon that Leslie emoted live and directed minimalistically with a keyboard, his vocals and pure stage presence. With bass strumming, keys and flirtatious “what’s your sign?” footsie game-playing, this track has single capabilities, and can stretch abroad many summers for tons of fun. ,” becomes something that Leslie can declare, and the question, "Is It Real Love," ceases to exist, as the composition proves it to be true. ,” is the quintessential way to kick it at home on the last evening of the weekend, according to Leslie. .” With a jazzy feel, the glitz of the indiscretion makes the song a bit unbalanced, but all in all, the sound is great, and the idea is very naughty. .” Hard-hitting percussion when combined with soft strings is incomparable.
" serves as the track which describes the woman that watched over him during his transition, and vice versa. Because he wasn’t looking for anyone to cure his “lonelies,” but found someone to open his doors, he and she can now look after one another. The bass guitar-laden track showcases Leslie&apos;s expanded musical range, as well as his his trust in his woman and in love.
" is an articulate and melodic uptempo lullaby verbalizing trust. Leslie’s lovely lady had mentioned that she had lacked trust, and her lack of assurance prompted him to write the ballad as a testament that he would give her all of his love always and forever.
" 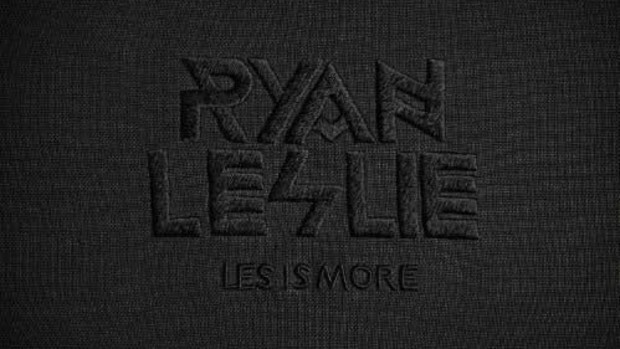 brings the album to a close nicely as a transition that R-Les has gone through as an artist and as a person. The album is about love, development, evolution and growth. Leslie chooses all of these things for himself in the end, and the song is an appropriate one to end off with.